I am, as you may know, an English teacher. As such, I’ve got a particular sensitivity towards using words correctly. The wonderful thing about words, you see, is that by using them properly you can be much more specific in your meaning… more descriptive, more precise and, therefore, more effective in making the intent of your words clear. If I wanted to say, in one word, that something has been broken into ten pieces, I should be able to use the word “decimate,” because that was its original meaning. But too many people used it as a synonym for “destroy,” and now that secondary – and far less specific – meaning is also considered correct. And it irritates me. And it’s the same vein of irritation that strikes me when I hear people throw around the word “trilogy” willy-nilly. Strictly speaking, a “trilogy” can refer to any series of three, but I think using it that way cheapens its usage. 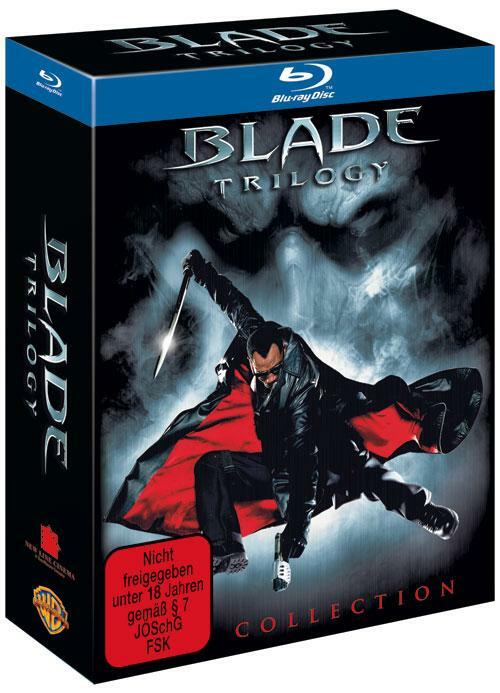 The word “trilogy” should be reserved to refer to something a little different than just “three.” These days, it seems to be popular to group movies into trilogies, perhaps because it’s so attractive package them together in a DVD box set. 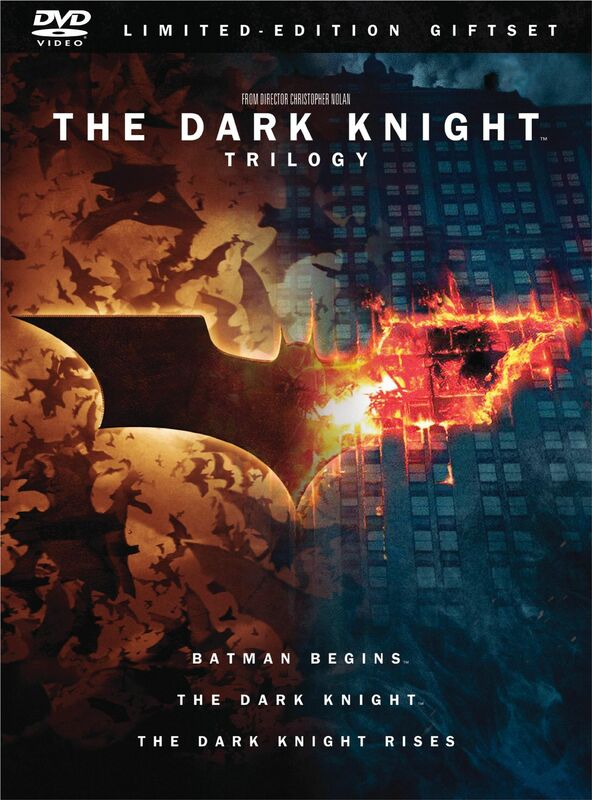 You can go out and buy the Lord of the Rings trilogy, the Dark Knight trilogy, the Back to the Future trilogy, each with three films in a series, each of which fits the definition to varying degrees. But are they true trilogies? How about the X-Men trilogy? There have been two movies released since they started calling it that, although one could argue that they aren’t part of the original series, but rather spin-offs… but next year’s X-Men: First Class seems poised to tie everything together. Can you still make that arguement? 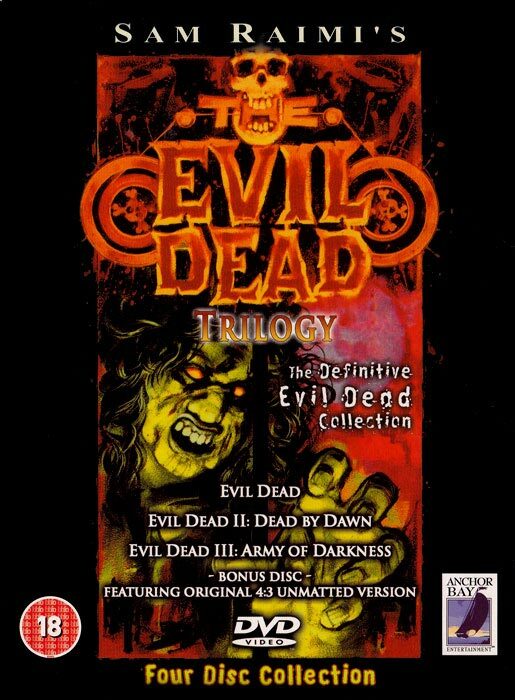 There are three films with Evil Dead in the title, but when people talk about an Evil Dead trilogy they mean Evil Dead, Evil Dead 2 and Army of Darkness. And then there’s my personal favorite, the Star Trek Trilogy. In a series with either six, ten, or eleven movies (depending on how you count), the boxed set with “trilogy” on the cover collects numbers two through four, because technically, those are the only ones that take place (chronologically) one after another. Let me break this down, guys. In my personal, extremely picky (I know) vernacular, a true trilogy is one story told in three parts. 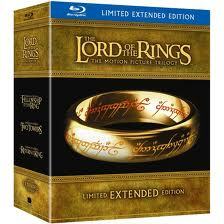 The Lord of the Rings, for example, is a true trilogy. (Yes, I know Professor Tolkien never actually wanted to split the book into three volumes, that it was done on the insistence of a publisher who didn’t think people would want to purchase a novel the length of a phone book. For the purposes of this semantic discussion, that’s not actually important.) For me to consider it a true trilogy, it needs to be planned as such… maybe not necessarily conceived in three parts, but once finished, part three should end with the ending the author was working towards all along. True trilogies, by my definition, are really quite rare. 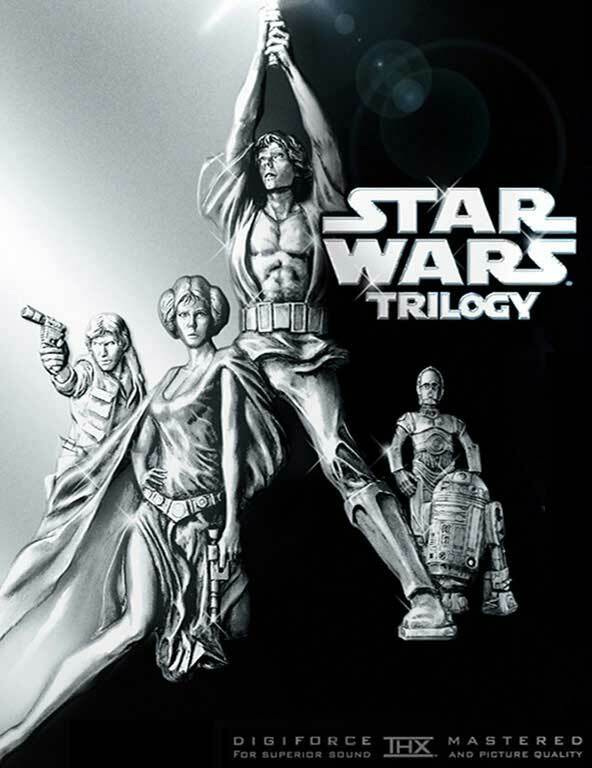 It’s not uncommon for someone to claim a story was intended as a trilogy even when it wasn’t. These usually don’t hold up to close scrutiny – the original Star Wars trilogy, for example… as much as I love the first three movies, if you watch them together it seems terribly unlikely that George Lucas had decided that Leia and Luke were brother and sister when he wrote the first screenplay, and even the question of Luke’s parentage isn’t a slam-dunk in that first film. Try to handwave it as being a “certain point of view” all you want, Obi-Wan – either you lied to Luke in Episode IV or Lucas hadn’t decided yet that Vader was Anakin Skywalker. The third Scream film also tries to claim trilogy status as well – Jamie Kennedy’s character appears in a post-mortem video that lays out the “trilogy rules” – but it’s written by a different writer than the first two films and the story it tells makes the second film (which was considerably better than the third) largely irrelevant, from a narrative standpoint. True trilogies are hard to find, but easy to confirm. A Retroactive Trilogy is what you get when a storyteller doesn’t have any solid or specific plans for a sequel, but once the first movie turns out to be a success, comes up with two more films that more or less go together. The original Star Wars, most likely, fits into this category much better than the “true trilogy” category. There are differing reports as to how much of Return of the Jedi was mapped out when Empire Strikes Back was written, it seems that at least some sort of framework was planned… as Luke is leaving Dagobah and Obi-Wan calls him “our last hope,” Yoda replies, “No… there is another.” Did they know the “other” was Leia when they wrote that line? I dunno. But they were at least thinking. The problem with these Retroactive Trilogies is that sometimes the writers simply try too hard. They build everything up in part two to some gargantuan cliffhanger, but along the way they’re throwing so many things at the audience that the story starts to get lost and garbled. Then, when part three comes along, they’ve gotten so jumbled up that they just can’t untie the knot before the end. I don’t have the hatred for the Matrix sequels that some people do, but I can’t deny they fell victim to this problem. Even worse, I’d argue, were the second and third Pirates of the Caribbean films. Not coincidentally, I liked the fourth Pirates film much better than two or three, mostly because the plot had almost nothing to do with the previous three films, simply throwing Jack Sparrow and Captain Barbossa into another standalone adventure. 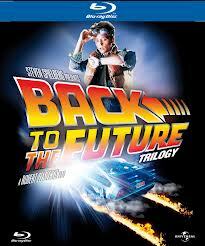 One of the best Retroactive Trilogies I’ve ever seen is the Back to the Future series, with second and third installments that are entertaining in their own right, extend the world built in the first, tie back to the beginning in a logical way, and each have their own clear identity. But they’re still, to be clear, a retroactive trilogy. Yes, I know, we’ve all seen that “To Be Continued” logo at the end of Part I a million times… which is why most people forget that it wasn’t actually in the theatrical cut, but added to the VHS release after the first movie was a hit and the studio decided to go on and make some sequels. The Trilogy in Name Only. A Trilogy in Name Only is what you get when a series happens to end after the third installment. Blade, for example. Ocean’s Eleven. The original Robocop franchise. None of these were planned as three-volume stories. These just happened to stop after three movies for various reasons – failure of the third installment, age or lack of interest in the principal actors, whatever. Despite that, these films frequently get packaged and marketed as “trilogies.” Even the Godfather franchise falls under this category. Sometimes, though, fourth films get made after a series seems over, taking away even its faux “trilogy” status. Toy Story is currently in this category, but every time you turn around it seems someone is starting a rumor about Pixar working on a Toy Story 4. (Seeing as how the third Toy Story had perhaps the greatest ending of any animated film in history, I really think that would be a huge mistake, but that’s an argument for another time.) You can find DVD sets of the TransFormers films marketed as a “trilogy” even as the fourth film is under production, and I distinctly remember the Saw movies marketed as a “trilogy” even back when they were actively cranking out a new movie every darn year. What’s more, we’ve entered the age of the drastically-delayed sequel, which is taking older films that used to fall into this category and turn them into longer franchises: Die Hard, Indiana Jones… these used to be called trilogies, then fourth films came out. The same thing will happen to Jurassic Park next year. Remakes or spin-offs incidentally, do not take a film out of this category. They’re working on a Robocop remake, but they’ll still market the original as a trilogy. They marked The Mummy franchise as a trilogy because they can easily (and rightfully) ignore the Scorpion King films. Evil Dead is an interesting case, as the new film is being presented as a remake, while at the same time the creators are publicly talking about continuing the original series (with an Army of Darkness 2) and eventually making a film that would bring the two incarnations of the franchise into a collision course. After AoD2 and a new Evil Dead 2, they’re considering a film that would feature Bruce Campbell’s Ash meeting Jane Levy’s Mia in a film that – I feel comfortable saying – would finally force the American Film Institute to stop placing Citizen Kane at the top of its “100 Greatest Films of All Time” list. At any rate, doing this would make for seven films total… two Ash Evil Dead movies, two Army of Darkness movies (also starring Ash), two Mia Evil Dead movies, then whatever they would call the final film. None of this is to make any particular claims about the qualities of any film in any given category. There have been bad “true” trilogies and terrible “retroactive” trilogies. Sometimes a trilogy in name only can have three fantastic movies (and by “sometimes” I mean “mostly in the case of the Toy Story films”). This isn’t about judging any film as superior to any other. This is all about a plea from me to use words the way they are intended. If it ain’t a trilogy, don’t call it one.